Turn this A5 portfolio into an elegant and unique desk accessory by customizing it with a text engraving of your choice. Certainly one of the best A5 portfolios in the Lucrin collection. 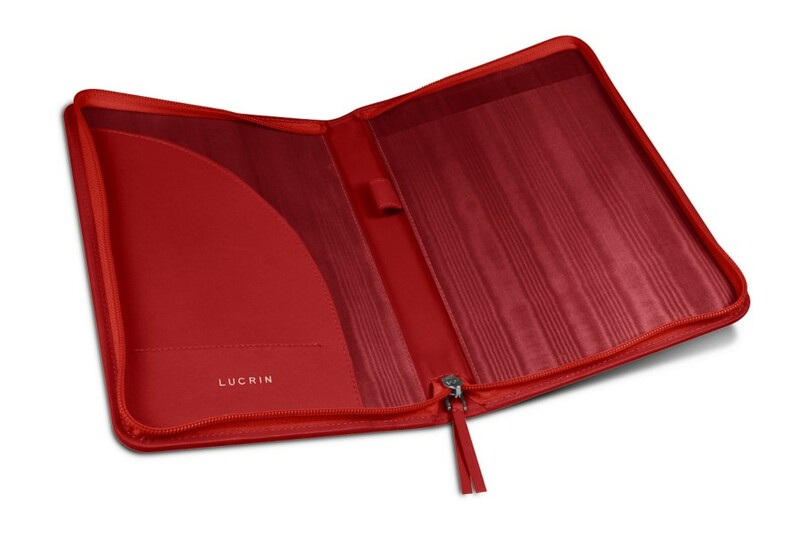 Crafted of natural leather and available in a wide range of leathers and colors, this A5 portfolio is very safe thanks to its zip feature. 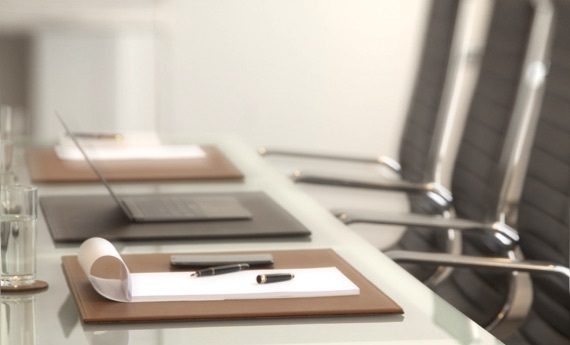 Once the portfolio is closed, your documents and pens are perfectly safe. 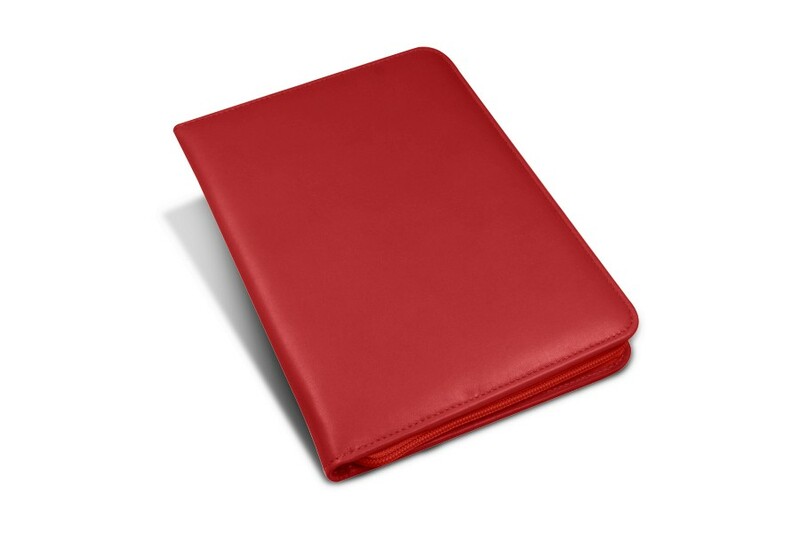 This A5 zippered case is ideal for meetings away from work or home. Left interior: flat pocket with slot for business cards. Right interior: pocket for A5 notepad with pen slot in the middle. 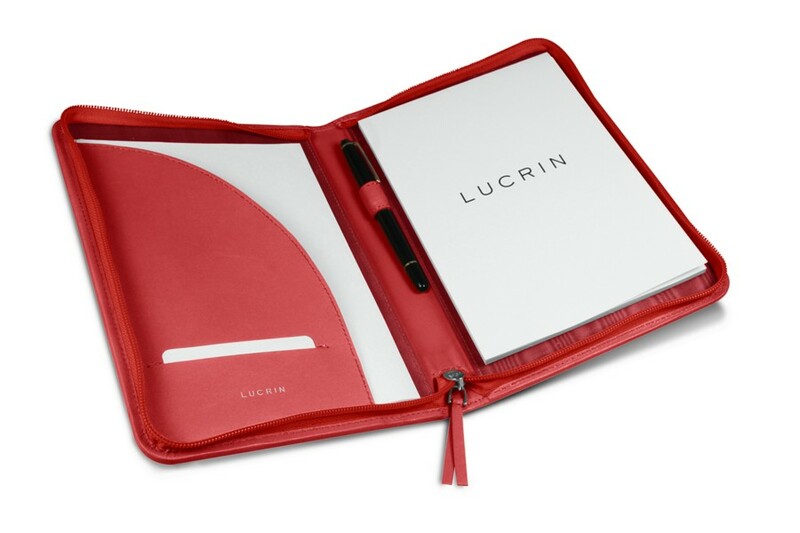 Includes a Lucrin notepad with 50 sheets of 80 gram white paper.